Just days after New Year’s celebrations wound down around the world, China’s National Space Administration (CNSA) achieved a historic lunar milestone on Jan. 3 by soft-landing a probe on the dark side of the moon—that is, the side of the moon that we denizens of the earth can’t see. While Western companies seem to enjoy drawing some ethereal inspiration from ancient Greek mythology by choosing names such as Nike, Oracle, Amazon, Pandora, and Alphabet, the Chinese communist regime, despite its atheist underpinnings, turns to China’s spiritual roots and mythology to name its space probes. The names from China’s glorious past aren’t some fad or nostalgia; the Party uses the ancient names because they subtly suggest that China started its space exploration much earlier than its Western competitors. In Chinese mythology, Chang’e, the goddess of the Moon, is married to Houyi, a fabled archer who shot down nine of the 10 flaming suns in the sky to spare humans on earth from death due to the heat. Yutu (the Jade Rabbit) is an immortal pet that keeps company with the beautiful Chang’e. In addition, CNSA’s other space-exploration projects and probes have all, thus far, been given otherworldly names, such as Tianzhou (Heavenly Ship 1-11), Shenzhou (Divine Ship), and Tiangong 1 and 2 (Heavenly Palace Skylab 1 and 2), to name but a few. 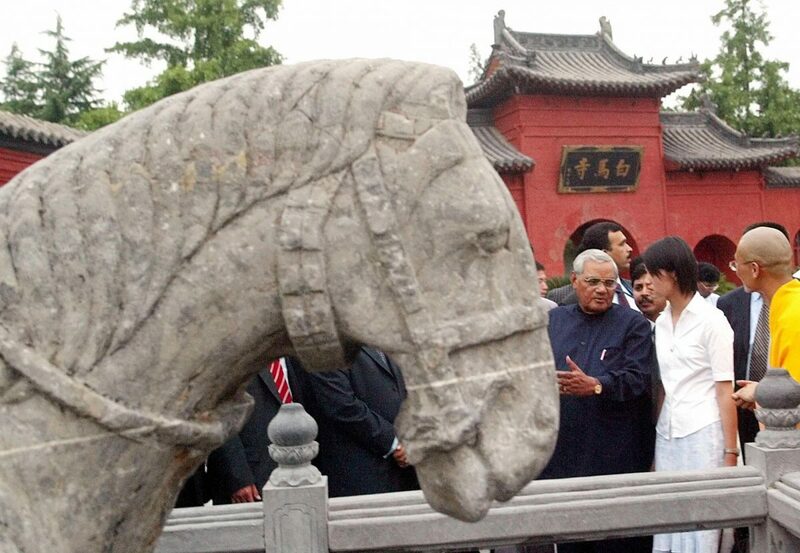 China’s 5,000-year civilization shares much in common with Greek civilization. Both Chinese and Greek mythologies assert that the universe was created out of the great chaos, each civilization beginning with timeless myths of immortals, demigods, and humans with supernatural powers, who later evolved into the mortal beings that we have become today. The Yellow Emperor (2698–2598 B.C. ), widely regarded as the first Chinese ruler, was able to use supernatural powers to fight off enemies. Inspired by the heavens, the Yellow Emperor created the first calendar and the book “The Yellow Emperor’s Inner Canon,” which revealed the theoretical basis of Chinese medicine. The Yellow Emperor’s reign was known for “rule by virtue.” According to the text of The Zhuangzi (ancient Chinese text dating from the late Warring States period [446–221 B.C. ]), the Yellow Emperor became a Taoist deity later in life. As a native Chinese spiritual denomination, Taoism is virtually as ancient as Chinese civilization. It wasn’t until Lao Tzu (601 B.C.–? ), who wrote the text of “Tao Te Ching,” that Taoism became an established mind-body belief system. Over the centuries, such timeless Chinese cosmogony has helped shape and influence Chinese culture and way of life. During the Ming Dynasty (1368–1644), Taoism officially became the imperial orthodoxy for the state. Despite its enormous influence, Buddhism came to China in the East Han Dynasty as an imported foreign religion. Legend has it that one day in 67 A.D., Emperor Ming dreamed of a golden person flying into his palace, and asked his ministers for an explanation. A minister named Fu Yi responded, “Your Majesty, you might have dreamed of the great Western sage called Buddha.” Accordingly, Ming sent Cai Yin, a military official, as his envoy to the West in search of Buddhism. Cai Yin and his entourage met two Buddhists, Dharmaratna and Kāśyapa Mātaṇga, on the way and brought them back, along with Buddhist scriptures on the back of a white horse, to Luo Yang, the capital of the East Han Dynasty. Ming was delighted and built the well-known White Horse Temple for the two visitors, where they translated “42 Scriptures” into the Chinese language, the first Buddhist scriptures in Chinese. 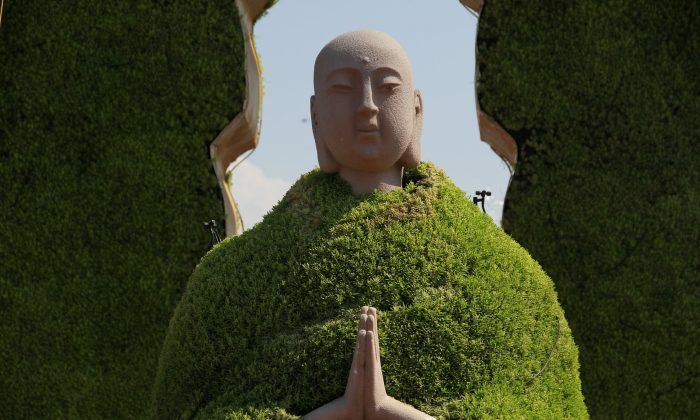 Over the centuries, Buddhism has been held in high esteem in China and revered as the official imperial religion by emperors of many dynasties. The famous Chinese novel “Journey to the West” (1592) is based on a legendary pilgrimage by the monk Xuanzang to India, with the assistance of the Monkey King, in a quest for Buddhist sutras. “A Dictionary of Chinese Buddhist Terms” alone has collected nearly 30,000 Buddhist vocabulary entries that were created by Buddhist monks within some 800 years between the Han and the Tang dynasties—these terms include words commonly used to this day, such as “now,” “past,” “world,” “future,” and others. Confucius (551–479 B.C.) is perhaps among the most misunderstood sages in today’s China and abroad. Widely considered one of the greatest Chinese philosophers, Confucius was largely ignored for his role in teaching his followers to obey the will, or mandate, of Heaven. After the CCP came to power in 1949, Confucius was denounced, particularly during the Cultural Revolution (1966–1976). Despite Confucianism making a comeback in society today, Confucius is largely seen as a humanist and philosopher, not the spiritual teacher he actually was. Fasheng Zhao, a researcher at the China Academy of Social Sciences, took note of this obvious omission in his article “On Confucius’ Belief.” Zhao pointed out that for most of the 20th century, religious beliefs were seen as being “backward” and “ignorant” in atheist China. Radical revolutionaries regard Confucius as one who wished to turn the wheel of history back to the slavery system, while conservative scholars, out of the desire to protect Confucianism, have eagerly tried to highlight Confucius’s humanist side, so as to prove that Confucianism is progressive and relevant in today’s China. Zhao further noted, “Confucianism is known as the scholarship of Heavenly beings.” He observed that in “Analects” alone, Confucius mentions Heaven or Will of Heaven 19 times. Zhao held that the Heaven Confucius spoke of refers to a supernatural divine ruler, not an abstract concept. 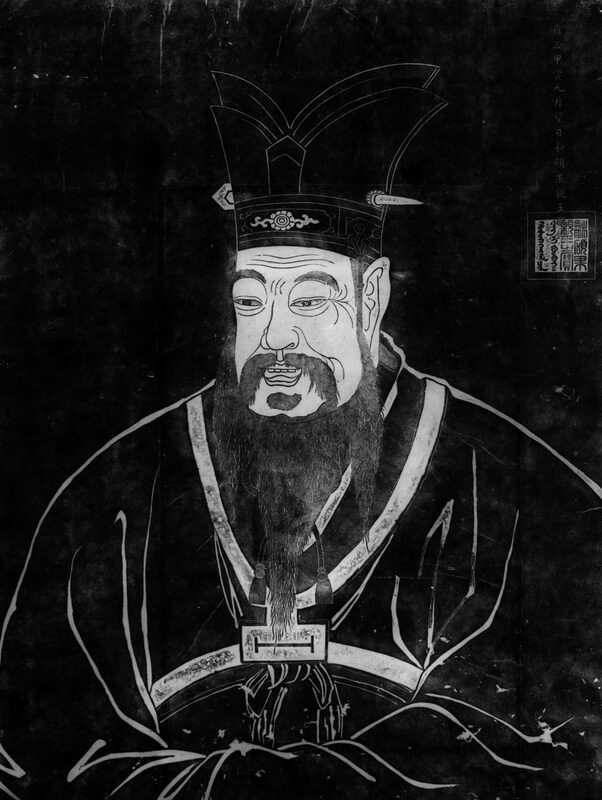 Confucius also is known for advocating the Golden Mean in life, as he equates excess to deficiency, an idea that echoes those held by ancient Greek philosophers such as Socrates, Plato, and Aristotle in particular. Government officials and employees, members of the armed forces, and the state-sanctioned Taoist and Buddhist associations must pledge allegiance to the atheist Chinese Communist Party (CCP). As widely reported by international media and human-rights groups, underground Christians, Tibetan Buddhists, and Falun Gong practitioners experience many forms of ill-treatment, with some of them even becoming victims of state-sponsored organ harvesting. Given that communist ideology is a Western import, the CCP sees the revival of traditional religious practices, as well as China’s true cultural heritage, as a threat to its ideological foundation and its legitimacy. Today, not only are religious practices tightly regulated by the CCP, even traditional art forms and stage productions involving Chinese history are heavily censored. On Jan. 25, the Beijing Daily reversed its previous praise for five popular TV drama series—Empresses in the Palace, The Legend of MiYue, Scarlet Heart, Story of Yanxi Palace, and Ruyi’s Royal Love in the Palace—by condemning them for focusing on internal power struggles in the imperial palace, thereby, implying that similar situations are going on inside the CCP’s top bureaucracy today. All five TV dramas are now off the air, even though four of them were based on Qing Dynasty story settings of more than 100 years ago, and one from the Warring States period (475–221 B.C.). When the acclaimed New York-based Shen Yun Performing Arts company produced a dance program that featured traditional Chinese dance, music, and costume, Beijing felt threatened. The CCP’s diplomats abroad are now charged with an unusual mission: coercing hosting theaters to reject or cancel Shen Yun performances. While most theaters embrace Shen Yun performances, a few have surrendered to Beijing’s roguish demands. Teatro Real de Madrid, for example, canceled shows scheduled between Jan. 31 and Feb. 2, even though hundreds of tickets had been sold in advance. In an increasingly more materialistic China, the spiritual void is quickly eroding the foundations of Chinese society and her timeless, divinely inspired culture. It is, however, encouraging to note that there are still tens of millions of Chinese people seeking China’s spiritual traditions or joining underground religions and practices. When its moral compass is missing, a nation without a spiritual soul and divine past is doomed to oppose humanity. Peter Zhang is a researcher of political economy in China and East Asia. He is a graduate of Beijing International Studies University, Fletcher School of Law and Diplomacy, and Harvard Kennedy School as a Mason fellow.